Tray and frame and 5 medium density foam rollers. Ideal for paint applications such as; paint undercoats, gloss paints, eggshells and varnishes. 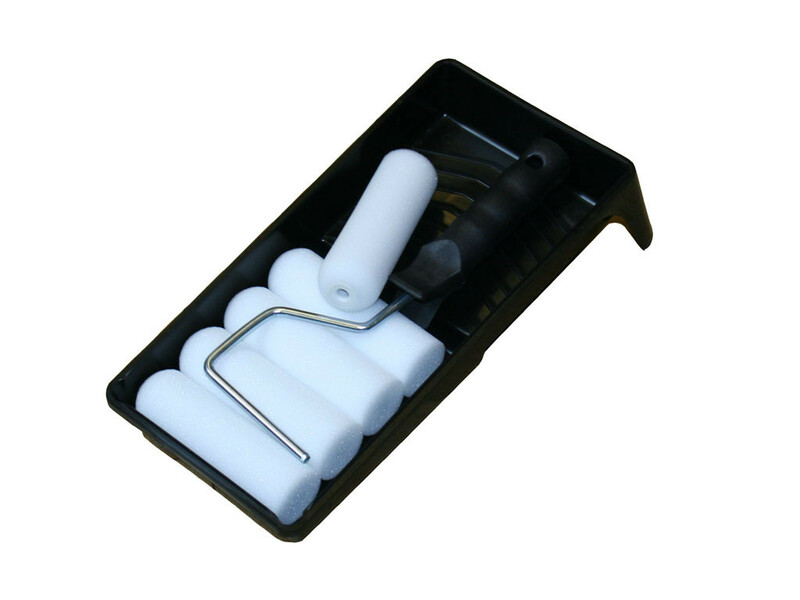 Painting with foam rollers speeds up application times onto doors, skirting board and other trims. 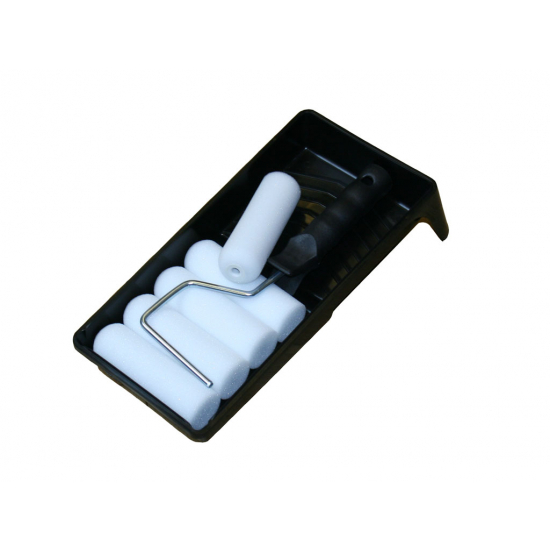 Compatible with all 4 Inch mini roller refill and handles, available on this web site. Contents; 5 x Mini Foam Rollers, 1 x Mini Frame Push Fit and 1 x Paint Tray 4 Inch.